​​​​​ ​DALLAS – Construction is set to start on a Starbucks at the Southwest Center Mall, marking the launch of a redevelopment project for the 120-acre property. The Mall, located at the intersection of US Hwy. 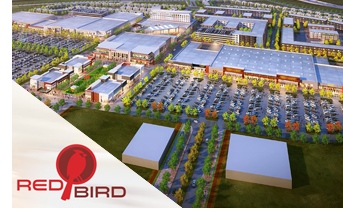 67 and I-20, will take back its original name of Red Bird Mall. The redevelopment project will add green space, a hotel and apartments to the existing, and new retail and office space. The Starbucks building will be finished by April 2018. ​Check out DFW Hotel, Multifamily, Office, and Retail Market Research.